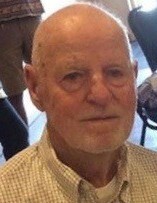 Edward J. Walton, Sr., of Edwardsville and Lopez, died Sunday, January 27, 2019 in the Gino Merli Veterans Center, Scranton. Born, January 3, 1928, in Wilkes-Barre Township, he was the son of the late Edward and Anna Maguski Walton and was employed in the commercial building construction industry. Ed served in the United States Navy, during World War II and was a member of St. Ignatius Church, Kingston; the Wyoming Valley Beagle Club and Labors Union Local 215/130, Wilkes-Barre. 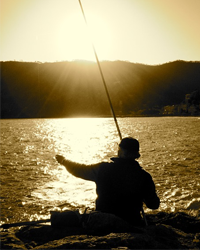 An avid hunter and fisherman, Ed loved to spend time at his cabin with family and friends in Lopez. In addition to his parents, Ed was preceded in death by brothers, George and Austin Walton and a sister, Betty Fennel. He is survived by his loving wife of 68 years, the former Kathryn Lahart, children, Joseph (Barbara) Walton, Larksville; Edward J. (Kathryn) Walton Jr, Kingston; Linda (Frank) McDonough, Wilkes-Barre; Matthew (Fran) Walton, Cutler Bay, FL; and Andrew (Angela) Walton, Larksville; 10 grandchildren, Jessica, Jamie, Joseph, Carissa, Jesse, Katie, James, Steve, Jason, Sarah 12 great grandchildren, Parker, Carter, Alice, Arlo, Josephine, Virginia, Amelka, Michal, Makayla, Mason, Landon, Dylan, sister, Phyllis Thiel, nieces and nephews. Funeral service will be conducted on Saturday, February 2, 2019 at 8:30 am from the Andrew Strish Funeral Home, 11 Wilson Street, Larksville with a Mass of Christian Burial in St. Ignatius Church, Kingston at 9:00 am. Interment, with Military Honors, will follow in St. Ignatius Cemetery, Pringle. Friends may call at the funeral home from 4 to 7 pm on Friday, February 1, 2019 and from 8:15 am on Saturday until time of service.